Women farmers, fishers, pastoralists, agriculture workers and indigenous smallholders have been feeding their communities for centuries but remain largely invisible in the world of agriculture. 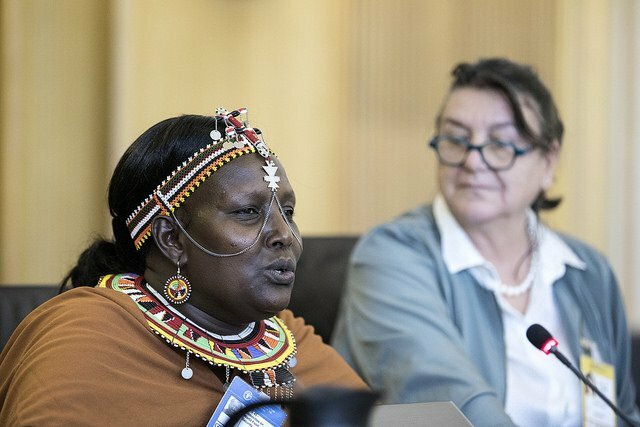 The panel event was organised by the Civil Society and Indigenous Peoples Mechanism (CSM) of the CFS, a platform that brings together organisations working on food and nutrition and producers, who represent more than 380 million members across the world. Introducing the session, Ruchi Tripathi, chair of the panel and head of resilient livelihoods and climate justice at ActionAid International, spoke about the importance of recognising the multiple identities and unique struggles of rural women. Several of the panellists pointed out that there were policies and laws on women’s rights, including recommendation 34 on the rights of rural women set out by the UN Committee on the Elimination of Discrimination Against Women. But that these were not being put into practice. UN Special Rapporteur on the Right to Food, Hilal Elver, spoke about the gap between law and implementation. “The law does not get all the way to villages, or fisherfolk or indigenous peoples,” she said. Panellist Christina Louwa, from the World Forum of Fisher Peoples, said: “It is a shame that after a decade of celebrating International Rural Women’s Day, we are still making the same demands and are yet to fully access and enjoy those rights. She called on governments to engage women in fishing communities and indigenous women and their representatives in decision-making at all levels. Iridiani Seibert, from La Via Campesina and coordinator of the CSM’s women’s group, also reflected on a decade of celebrating International Day of Rural Women, highlighting the centrality of ‘agroecology for the realisation of women’s rights. Women make up nearly half of the world’s 500 million family farmers who produce 80% of the world food. But they are also most affected by rising global hunger, some 60% of the 821 million people who are not getting enough to eat as thought to be women. As large-scale industrial agriculture spreads, rural women are being dispossessed, and their knowledge of sustainable food production methods is being lost. Panel member Azra Sayeed, from the International Women’s Alliance, Pakistan, said the most critical demand for governments meeting this week is equitable distribution of land. “Without land women are forced into various forms of exploitative labour,” she said. “We also demand public funds to be provided so that agroecological agriculture maybe promoted and practiced. Speaker Paulomee Mistry, representing the International Union of Food and Agriculture Workers, spoke about the need to pay a living wage to agriculture workers, and to reduce the pay gap between men and women workers. She spoke about the experiences of women working on tea plantations in India where women make up 80% of the workforce, but just 1% of supervisors, meaning they face violence and harassment at work. They face low wages, a lack of job security, leaving them socially, economically and physically vulnerable. Maria Teresa Alvarez shared the experiences of Argentinian women pastoralists. She said communities were drastically affected by land-grabbing and a reduction in space for their traditional farming practices. Meanwhile, highly processed foods were being introduced, particularly in schools, which are harming people’s health.